KOLO Charities is a charitable organization that welcomes all with open arms. It’s based on having fun while providing support for life-changing good deeds. Since its formation, KOLO Charities has contributed well over $1,000,000 to the charities and communities it serves.The Kowalkowski Open began in 1973, when KOLO Charities founder Bob Kowalkowski (“Kolo”) played golf with buddies from the Gladwin Lions Club International. This inspired the former offensive guard for the Detroit Lions and his friends to organize the golf tournament to benefit Leader Dogs for the Blind, the Lions Club’s named charity. Interest and attendance grew annually and in 1991 KOLO Charities became a registered nonprofit organization. 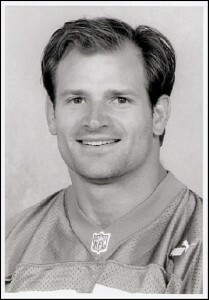 Bob’s son Scott, also a Detroit Lion, grew up while KOLO Charities grew and today partners the helm of the organization. KOLO Charities is a registered 501(c)(3) charity chaired by Scott Kowalkowski. This year KOLO Charities will host a wine tasting at San Marino Club located in Troy, Michigan and will feature 10 different wines from around the world accompanied with delicious hors d’oeuvres.